The march of the New Bus for London - or New Routemaster - as it has been rebranded, continues. There are already 400 operating across 11 bus routes in the capital and by May there will be a total of 800. They are the Marmite of buses; some love them, some hate them. Some have conductors (that don't take fares), and you can hop on and hop off the rear platform in traffic. On some you can't. Critics think it would have been cheaper to buy hybrids off the peg, others think they are worth the premium. It is one of the few areas where more staff have been taken on. Transport-wise, they are a bit of an eccentric anomaly. There have been problems with the on-board cooling leading to extremely uncomfortable conditions upstairs, and now I've learnt there have been problems with the batteries. They have not been working correctly and the initial batch of batteries is having to be replaced. Transport for London (TfL) bosses tell me the original Routemasters suffered various problems initially and compared to them they think this version has performed pretty well. The faulty batteries are being replaced under warranty. 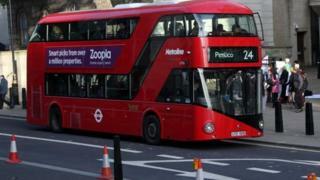 Mike Weston, TfL's director of buses, said: "The New Routemaster is the cleanest and greenest bus of its class and there is absolutely no problem with its hybrid system. "However, as part of the warranty provided by the manufacturer, a programme is under way to check and, if necessary, upgrade batteries on some of the fleet. "If the batteries stop working properly the engine runs for longer to generate the electrical power needed. "The battery packs are being upgraded as soon as possible and within the warranty period, at no cost to TfL or the taxpayer."